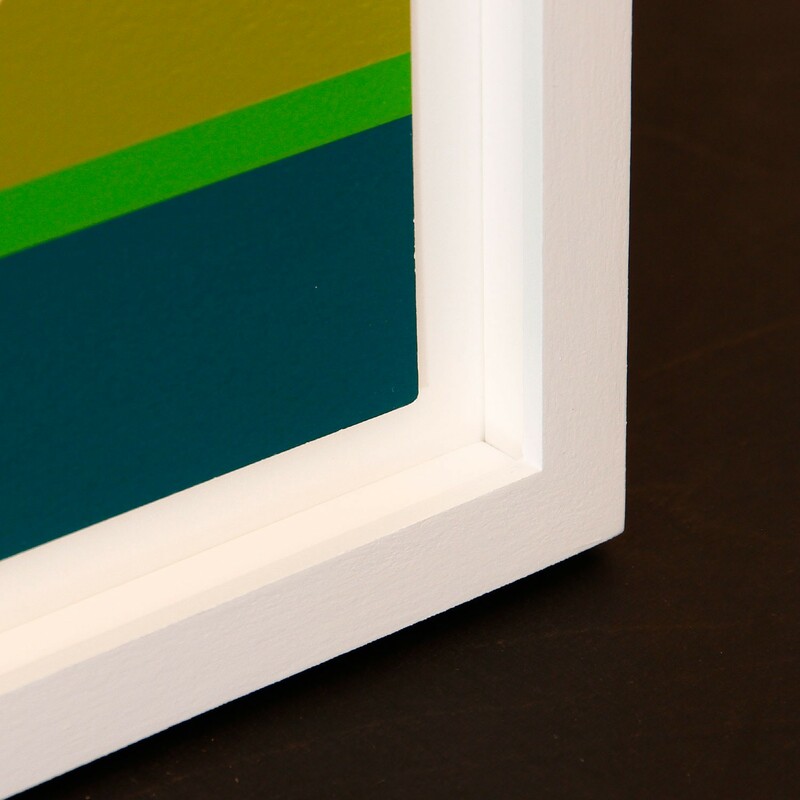 Hand-finished white painted wooden Frame, with 10 mm Spacers. 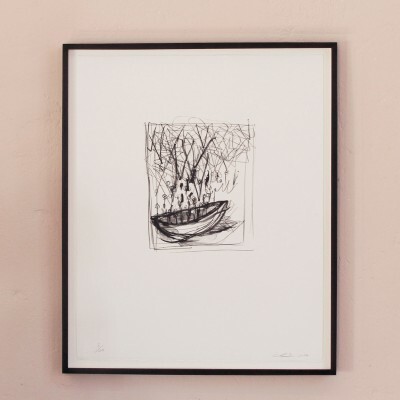 Size of the Frame: approx. 64,8 x 64,8 cm. 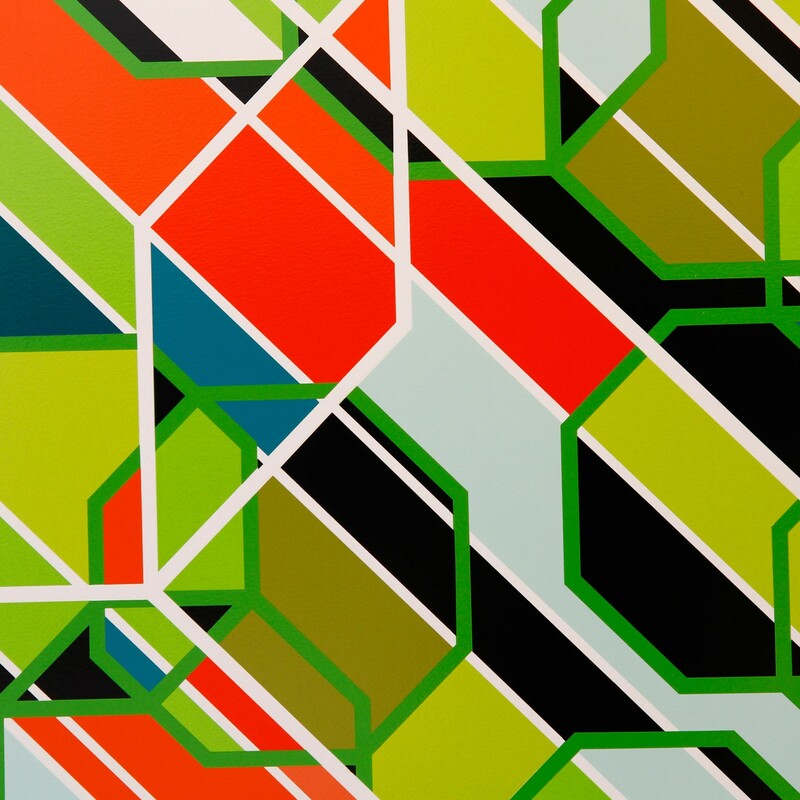 Sarah Morris, born in the US in 1967, is considered among the world’s most successful contemporary artists. 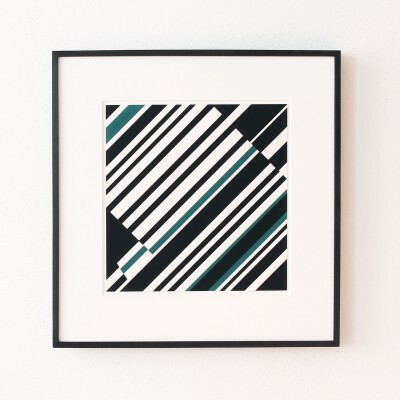 She became well known as a result of her abstract paintings, whose geometric structures mirror skyscraper facades and question the architecture of modern metropoles. Urban landscapes and constructions are also the subjects of her films, in which she paints portraits of cities such as Washington, Las Vegas, New York or Los Angeles. Morris’ passing looks at events that determine a big city has been highly praised: “Capital (Washington D.C.)”, for example, shows the hustle and bustle around the White House during the last days of the Clinton Administration, whilst in “Los Angeles”, Morris observes Hollywood stars like Warren Beatty amid preparations for the Academy Awards. Morris exhibited extensively internationally, with solo exhibitions at Espoo Museum of Modern Art, Espoo, Finland in 2017, Kunsthalle Wien, Vienna in 2016, Fondation Louis Vuitton, Paris in 2014 or Fondation Beyeler, Riehen/Basel in 2008 to name only a few. 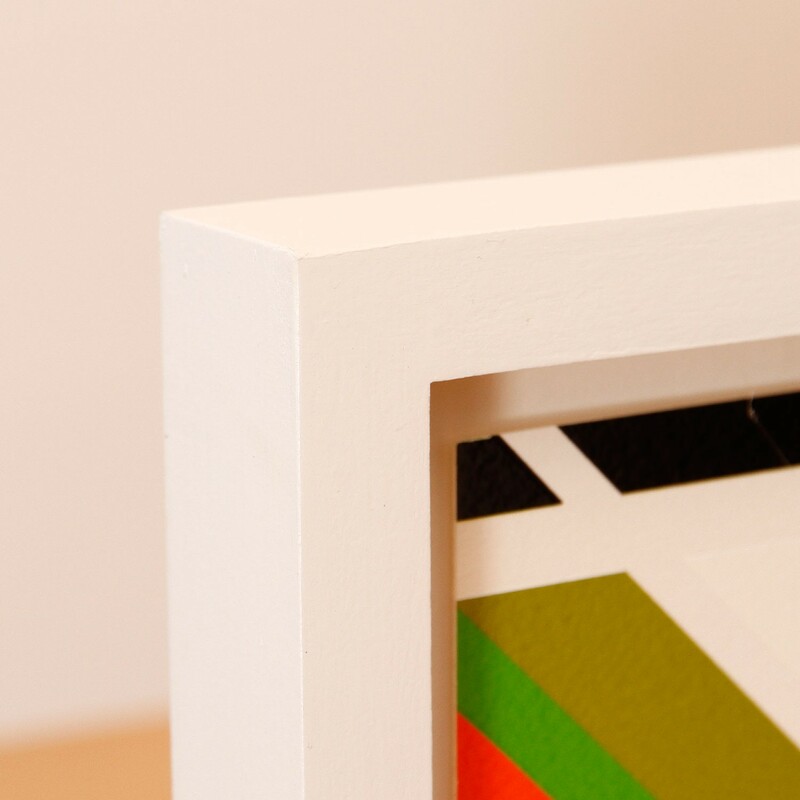 Sarah Morris’ work is in many public collections such as British Council, London, Centre Pompidou, Paris; Solomon R. Guggenheim Museum, New York; Hamburger Bahnhof, Berlin and Tate Modern, London. Mathematics as art? Geometric beauty? 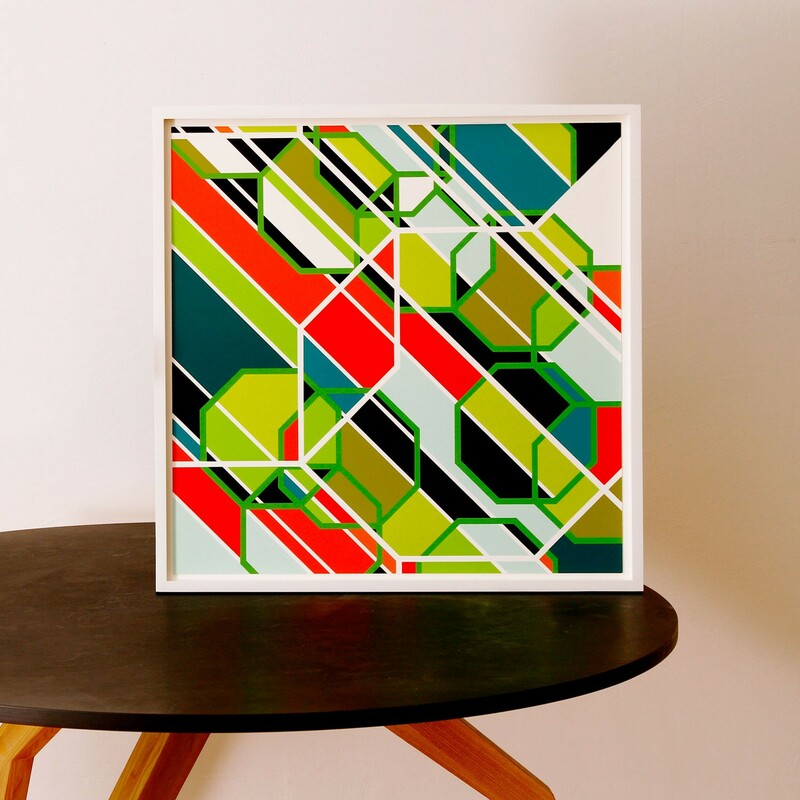 Sarah Morris’ work inhabits the blurry line between modern geometric-abstract art and contemporary design. The present work is plainly and geometrically constructed — and, at the same time, captives by way of its vibrant colours. The limited edition “Sony (Los Angeles)” is an elaborate screen print composed of 11 different colours. Upon closer inspection, relief-like structures begin to take shape, following visual rhythms. With its complex geometry and the vibrant colourisation, “Sony” alludes to a pulsating metropolis, whilst the compositional clarity offers a sense of control.